Jejune's Place: Chicken Stock — Without Chicken! 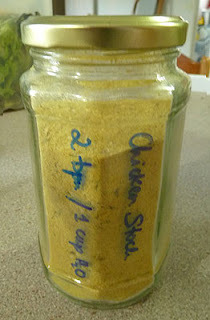 Chicken Stock — Without Chicken! I enjoy making stuff from scratch, that we'd normally buy ... and it occurred to me — chicken stock powder! Surely you could make it yourself? Store in a dry jar. That's it! Very satisfying! Use 2 tspns : 1 cup of water. 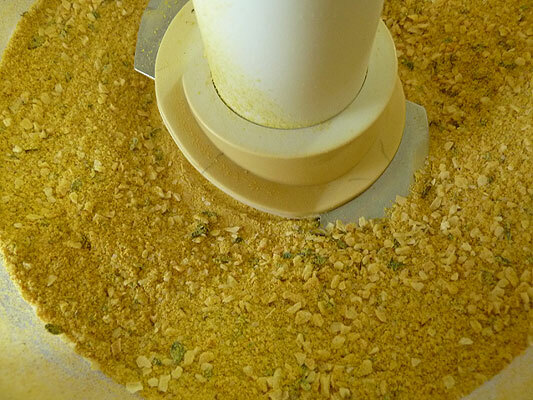 The nutritional yeast flakes were the only really tricky ingredient to find (try your local health food shop). It was rather expensive (around $20 for that big bag), but that is enough to make about 6 batches of this powder! 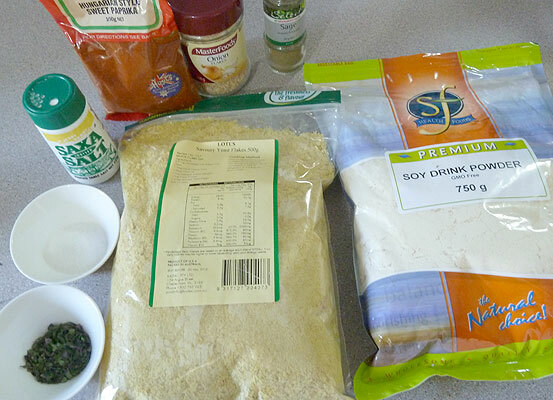 I used dried thyme from my garden, could only find powdered sage so that would have to do, used dried onion flakes instead of powder, and used a plain protein powder (also a huge bag which will last forever). I've used up one batch already, this is my second one. It makes a nice broth, and is good in recipes, of course. 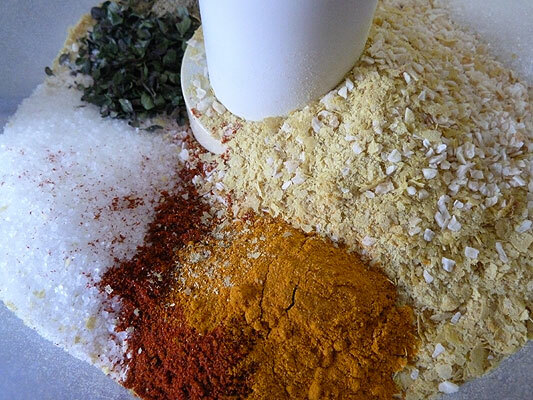 Plus you can adjust the amount of salt if you're wanting to cut back on that. Good fun and quick to make! You are just the most clever girl! You rock! with no chicken! I like making things myself as well. Something very satisfying about that. I did not know you could do that, that's amazing!!! With some amendments [ for The Girl's fructose malabsorbtion ] I should be trying this . We tend to go through a lot of Vegeta. Thank you so much for posting this! I am now making most of my stock in the thermomix, but sometimes I need "chicken" flavour,and my usual has some nasties in it.